We are specialized in offering the best Legal Services to the clients. We have a group of legal experts which has been in the business for a long time. 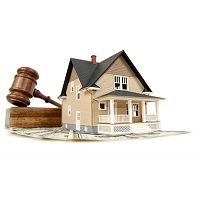 They are proficient in the matter of legal affairs in the area of Property transaction. Our services in this category can be sought for any dispute related to residential, commercial, industrial as well as agricultural plots. Solutions related to acquisition of property, unlawful possession of property or any other problem are entertained by us in a very professional manner. Our consultancy is offered in conformation to the prevailing law in the concerned affairs.